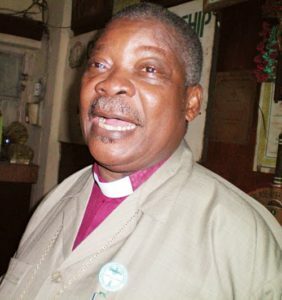 The South West Chairman of the Christian Association of Nigeria (CAN) and president of Gospel Baptist Conference of Nigeria, Archbishop Magnus Atilade has passed away at the age of 76. Reports say the deceased died on Thursday morning at the Lagos State University Teaching Hospital (LASUTH), Ikeja. Reacting to the loss, CAN National Vice President, Professor Joseph Otubu said the demise of the ex-chairman is already being felt, describing the deceased as a good fellow that contributed a lot to the growth of Christianity. The Catholic Archbishop of Lagos, Adewale Martins, said: “Atilade was a pleasant man, ready to interact with the body of believers. He was noted for his sharing and fellowshipping with fellow Christians. He was also ready to relate with Christians in other denominations. May his soul rest in peace”. The late Archbishop Magnus Atilade was a former Chairman of the Lagos branch of CAN and a chiropractor at St. Luke Chiropathy Centre, Ekololu, Lagos until his demise. This entry was posted in Christianity, News and tagged Archbishop Magus Atilade, CAN, LASUTH. Bookmark the permalink.